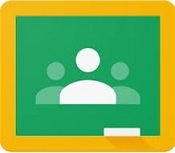 Google Classroom: This Google App will allow you to sign in and see your individual classroom sites and the resources and assignments posted by your teachers. Google: Many of your school projects will be done in Google using Docs, Sheets, or Slides. Library: Please use this link to search the books available in the library for checkout. Typing.com: Click on the image to start practicing your typing.